Faux wood wallpaper wraps the walls and is offset by the crystal and iron chandelier. Dining table is carerra marble…yep that’s right…I’ll say it again…marble!! Four velvet English roll arm chairs face a drum coffee table. 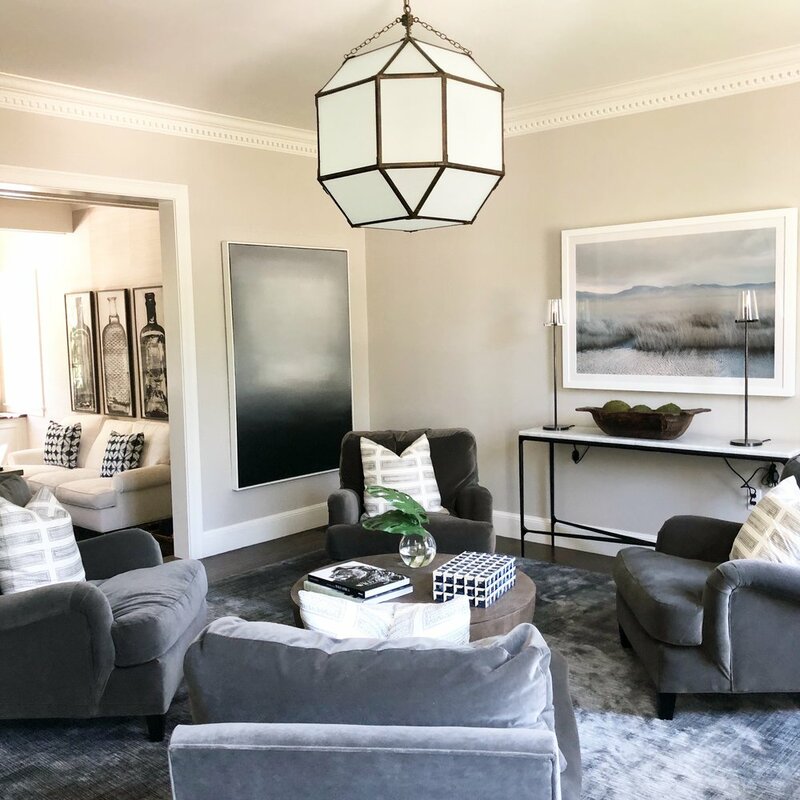 A gorgeous silk blend area rug and Susan Conner pillows soften the space.